Commonwealth Games gold medallists Goh V Shem and Wee Kiong Tan of Malaysia caused the biggest upset on day three of the Badminton World Federation German Open sending Chinese second seeds Chai Biao and Hong Wei crashing out with a marathon victory at the RWE-Sporthalle in Mülheim an der Ruhr. The unseeded Malaysians recovered from dropping the opening game to record a 19-21, 21-12, 22-20 triumph to reach the quarter-finals of the men's doubles competition. They will be joined in the next round by South Korean top seeds Lee Yong-dae and Yoo Yeon-seong, who overcame China's Liu Cheng and Lu Kai 21-11, 21-16. Jan Ø. Jørgensen of Denmark safely negotiated his last 16 contest in the men's singles draw, proving too strong for Lee Dong-keun, taking 37 minutes to dispatch the South Korean 21-10, 21-14. Fourth seed Chou Tien-chen of Chinese Taipei was made to work harder for his quarter-final berth, needing three games to get past Hong Kong's Hu Yun 11-21, 21-17, 21-19. 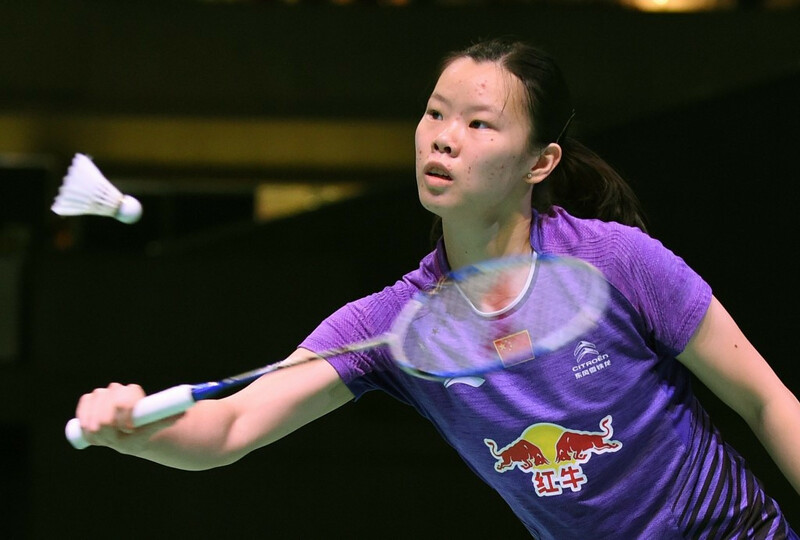 In the women's singles, London 2012 Olympic champion Li Xuerui continued her fine form by cruising to a comfortable 21-15, 21-12 success over Thailand's Busanan Ongbumrungpan. Former world number one and three-time Asian Games gold medallist Wang Shixian of China is also safely through as she raced to the opening game of her match with Indonesian Lindaweni Fanetri 21-10. She then wrapped up a straight games victory by taking the second 21-17. Nozomi Okuhara, world junior champion in 2012, won a titanic all-Japanese affair with Aya Ohori to book her spot in the next round, emerging from a nervy contest on the right side of a 21-8, 16-21, 21-16 scoreline. Women's doubles top seeds Nitya Krishinda Maheswari and Greysia Polii from Indonesia enjoyed serene progress to the last eight, thrashing South Korean pair Eom Hye-won and Kim Ha-na 21-5, 21-14. Jung Kyung-eun and Shin Seung-chan, seeded fourth, were another high-profile casualty on day three as the South Koreans were beaten 21-15, 21-9 by unseeded Chinese duo Chen Qingchen and Jia Yifan. Action at the German Open, which is a BWF Gold Grand Prix event, is due to resume tomorrow and conclude on Sunday (March 6).